The ability to profile gene expression patterns in tissues and cells at a snapshot in time provides researchers a window to observe and analyze the cellular plans for protein synthesis. Over the past three decades, there have been tremendous advancements in the technical assays of gene expression. This progress has resulted in groundbreaking discoveries that have revolutionized our understanding of diverse biological and pathogenic processes ranging from cancer progression to neurodegenerative disease, and even cellular aging and fetal development. In this article, we will reflect on early techniques that formed the foundation for subsequent achievements in gene expression studies, as well as discuss the latest advancements in gene expression technology and touch briefly on the future of this rapidly expanding field. Practically, we will address some the advantages and disadvantages of various techniques, including reporter gene assays, real-time quantitative reverse transcription PCR (qRT-PCR) and RNA sequencing - and how each might be best utilized in your research. Historically, the development and implementation of reporter gene assays changed the manner by which gene expression could by analyzed and manipulated experimentally - namely, the ability to utilize exogenous reporter genes which could easily be assayed via their intrinsic enzymatic activities or biophysical characteristics as a surrogate for gene expression or transcriptional activity. This method provided a more efficient means to analyze the regulation of gene expression compared to Northern or Western blot analysis of mRNA and protein synthesis, respectively. Reporter gene assays rely on stable or transient transfection of a gene of interest into appropriate host cell lines. Traditionally, the most extensively used quantitative reporter genes included β-galactosidase (β-gal), chloramphenicol acetyltransferase (CAT), as well as the firefly and Renilla luciferases. However, there are distinct disadvantages to these conventional reporters, including: the need for substrate addition, the ability to only assess averages of promoter activity over the sampled population of cells and requirement of cell lysis for analysis of kinetic activity. This paved the way for the utilization of green fluorescent protein (GFP) and other fluorescent proteins as quantitative reporters for non-invasive kinetic studies of gene expression in living cells. Together, these reporter gene assays became some of the most common cell-based methods for analysis of gene expression, promoter regulation, signaling pathways and even drug discovery using compound library screening. Moreover, such targeted methods have distinct advantages after years optimizing transfection conditionals, internal controls and quantifiable readouts. Indeed, with more than 20 years of experience in transfection, Roche Life Sciences has pioneered the development of optimized transfection solutions - including next-generation transfection reagents with high efficiency and reproducibility, minimal cytotoxicity and off-target effects, as well as a simplified and efficient protocol (see X-tremeGENE DNA transfection reagents for both common and difficult-to-transfect cell lines). Notably, the limited ability to control for the influence of confounding factors or off-target effects during exogenous expression of reporter genes, combined with the time-consuming nature and low sensitivity of the Northern blot, paved the way for the development of methods to directly and more easily quantify RNA transcript levels. This provided a means for direct gene expression analysis versus measurement of surrogates for transcription factor activity or exogenous gene expression. In this manner, the discovery of the viral reverse transcriptase made PCR analysis of DNA molecules generated from RNA possible - termed reverse transcription PCR (RT-PCR). And importantly, this changed the landscape of gene expression studies. In this method, a complementary DNA (cDNA) is generated from an RNA template using the reverse transcriptase enzyme, followed by exponential PCR-amplification of the cDNA template. The advantages of this strategy are multi-fold: it allows for detection of practically any RNA target; the PCR amplification process provides unparalleled sensitivity, enabling detection of low abundance transcripts not previously possible using the Northern blot technique; the method is tolerant of partially degraded RNA as long as comparative samples are of similar integrity. While subsequent variations of this technique emerged, it was the discovery of novel fluorescent labeling methods that made feasible real-time detection and analysis of PCR amplicons during the exponential phase of the PCR reaction - as compared to end-point (plateau phase) detection strategies requiring more laborious and less sensitive post-PCR processing. There are two major fluorescence methods, namely DNA-binding dye (i.e., SYBR Green) versus fluorogenic probes (i.e., TaqManⓇ, Hydrolysis Probes, Molecular Beacons, and Scorpians). The SYBR Green dye emits fluorescence upon binding the minor groove of double-stranded DNA (dsDNA) and increases in intensity as PCR amplicons accumulate. The greatest advantage of SYBR is that it binds to any dsDNA, therefore designing and optimizing probes is unnecessary, making this an economical and straightforward method. However, the biggest drawback is the same lack of specificity, in that SYBR will equally bind primer-dimers and non-specific products. Therefore, careful optimization with hot-start techniques (to reduce primer-dimers) as well as melting curve analysis to acquire fluorescence above the melting temperature of the primer-dimers but below that of the PCR product, are essential. In contrast, probe-based strategies utilize fluorescently labeled target-specific probes that result in enhanced specificity and sensitivity—even allowing sequence specific recognition. These flurogenic probes rely on Förster (or Fluorescence) Resonance Energy Transfer (FRET) signaling, which develops only when specific hybridization events occur due to the close proximity required for energy transfer—making mis-priming and primer-dimer artifact much less of an issue compared to the non-specific dsDNA binding by SYBR. Additionally, various distinguishable fluorescent dyes with specific emission spectra are commercially available, making simultaneous amplification of multiple distinct sequences within a single PCR reaction possible. Thus, these multiplex probes have become widely applicable in various facets of research, including gene deletion analysis, mutation and polymorphism (including single nucleotide polymorphism—or SNP) analysis, as well as relative and absolute quantification of gene expression. Therefore, by no stretch of the imagination, the markedly enhanced sensitivity and specificity of real-time RT-PCR has become the gold standard for quantification of gene expression, as well as the preferred strategy for pathogen detection, mutation discovery, as well as verifying expression profiles from microarrays and global RNA sequencing methods.This rapid evolution in real-time qPCR capabilities has necessitated continual re-evaluation and improvement in PCR innovation and instrumentation. Indeed, for more than 15 years, Roche has led the way in these efforts with the LightCyclerⓇ family of user-friendly and reliable PCR instruments. Along the way, Roche pioneered many first-of-their-kind innovations, including the first: online real-time monitoring, advanced quantification cycle (Cq) calculation, melting curve analysis, SNP genotyping utilizing temperature-sensitive probes, as well as an automatic non-linear PCR efficiency correction, easily-interchangeable 96 and 384 well blocks and the first and only high-throughput 1536-well format (see LightCyclerⓇ instruments). Combined with Roche's Universal ProbeLibrary (UPL) of short hydrolysis probes and the user-friendly ProbeFinder Assay Design Software (which generates target-specific primer sequences of interest and matching UPL probes) this allows unparalleled qPCR capabilities in your laboratory. Prior to recent advancements in next-generation sequencing (NGS) technology, transcriptome analysis and gene expression studies were primarily performed using qPCR techniques described above, as well as more targeted high-throughput methods such as DNA microarrays or serial analysis of gene expression (SAGE) techniques. Indeed, DNA microarrays, which contain a collection of thousands of specific DNA sequences (probes) that are used to hybridize a cDNA or anti-sense RNA sample for determination of relative sequence abundance, have been advancing gene expression studies for nearly two decades. However, these hybridization-based techniques are limited in their dynamic range of detection as well as their ability to identify and measure diverse RNA molecules. The boom in NGS technology over the past decade essentially propelled the development of transcriptomic strategies with massively parallel cDNA sequencing, or RNA-seq (also referred to as Whole Transcriptome Shotgun Sequencing or WTSS). Specifically, RNA-seq generates a snapshot of all RNA transcripts in a cell at a single point in time. Therefore, one obvious advantage of RNA-seq is the ability to detect and analyze rare allelic variants—as strategies such as microarrays are limited by use of common alleles that underrepresent the vast number of SNPs in the genome. However, beyond analyzing changes in gene expression or the identification of mutations/SNPs, RNA-seq provides a means for detecting previously uncharacterized coding and non-coding transcripts, including alternative splicing events, gene fusions, improvement in mapping of transcription start sites as well as intron/exon boundaries. Moreover, RNA-seq allows for further characterization of the complexities of the transcriptome, including non-coding small RNAs (sRNAs)—for instance microRNAs (miRNAs), promoter-associated RNAs (paRNAs), antisense 3' terminal-associated RNAs, and many others. Indeed, RNA-seq has become a powerful tool in emerging sequencing technologies and is promising in its potential to generate modeling of vast RNA networks under various cellular and physiological conditions. Furthermore, given the recent profound biological discoveries using transcriptome characterization via RNA-seq strategies, NGS platforms will only continue to improve their capabilities at lower costs, becoming more readily available to individual researchers. 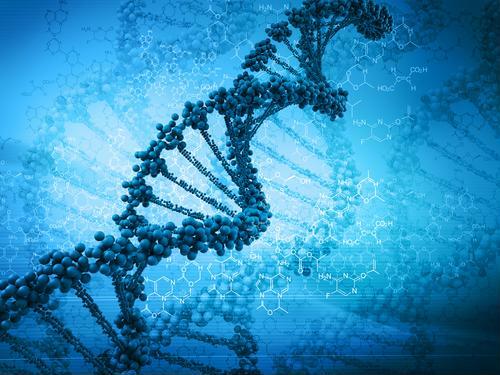 In summary, whether your research focuses on the single-gene, multi-gene or whole genome level, the ability to critically analyze changes in gene expression, to identify and characterize mutations and variants, as well as generate specific transcriptome profiling data—will only serve to add depth and greater context to an increasingly expanding number of biological and pathogenic processes with a rapidly evolving fund of knowledge.